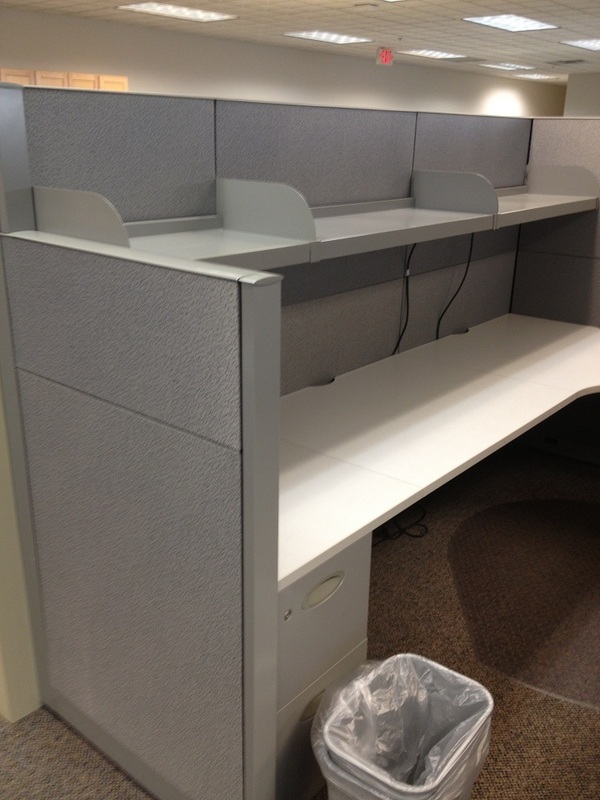 Steelcase Answer cubicles configured as 7×7 or 7×9 with 64″ high powered panels on the spine, 54″ high panels dividing the stations. Each station also has a 24″x54″ closure panel. Each station has a locking BBF and FF pedestal. (2) overhead shelves. Finishes are in shades of gray. Product is in good 8+ out of 10 as-is condition with light spot clean of the fabric tiles. Any additional items that you may need for this workstation can be purchased new from Steelcase. For example, if you require a overhead binder bin for storage, it can easlu be added. All Steelcase Answer products and finishes are currently available. 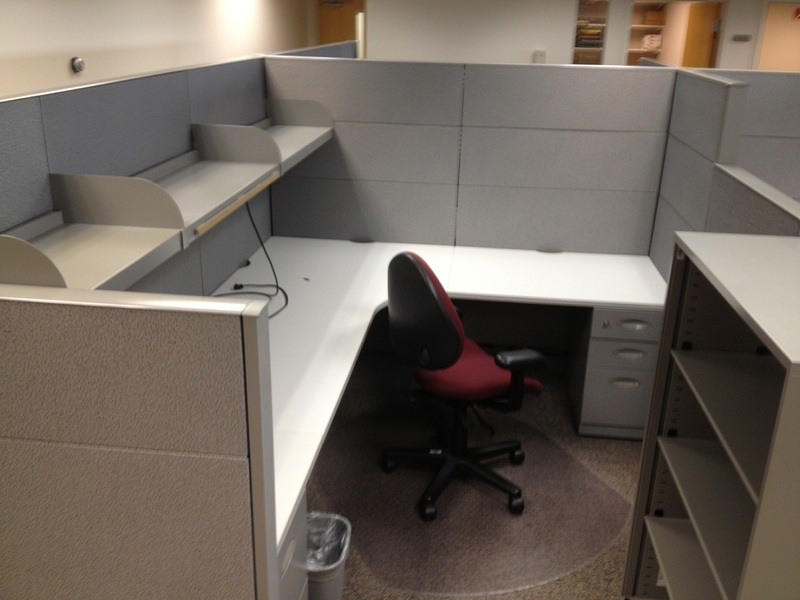 3 Comments on "Steelcase Answer 7×7 or 7×9 cubicles"